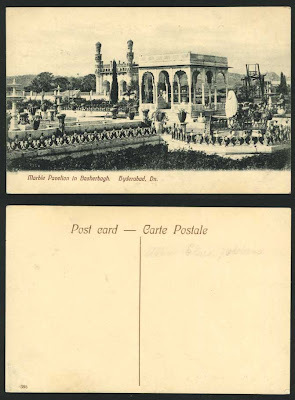 Vintage British Indian Picture Postcard, Panorama, General View of Mable Pavelion / Pavilion in Basherbagh, Hyderabad. DN. Fountains, Gardens, Irrigation tools, Statues, gates.